There are about two dozen tour pros with ties to Las Vegas playing on the four major United States professional tours. Here’s a look at rankings for those players. 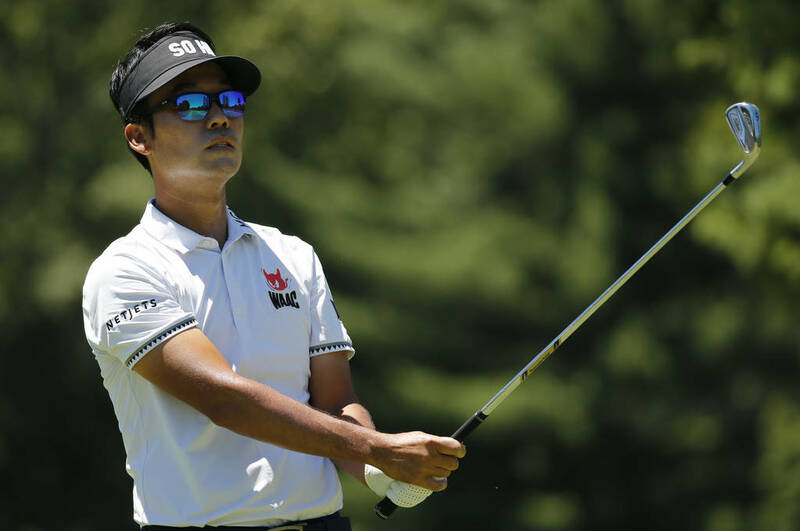 – PGA Tour: Kevin Na, with his victory week last week at the Military Tribute at The Greenbrier, jumped from 58 to 18 in the FedEx Cup standings, the highest ranking for a local player. 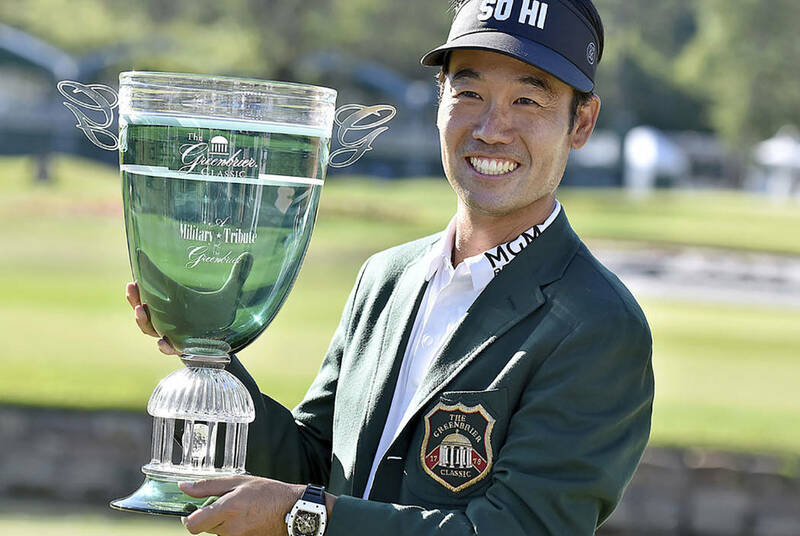 The top 125 qualify for the FedEx Cup Playoffs, which begin Aug. 23 at the Northern Trust Open. Other Vegas players and rankings are: Aaron Wise (25), Scott Piercy (41), Ryan Moore (58), Alex Cejka (86), Charley Hoffman (98), Adam Scott (112), Chad Campbell (182) and Derek Ernst (229). – LPGA Tour: Inbee Park is ranked number one in the world and is fourth on the money list. Other Vegas pros are Danielle Kang (20), Jenny Shin (48), Natalie Gulbis (161)and Jennifer Hahn (164). – PGA Tour Champions: Tommy Armour III (66), John Riegger (79) and Skip Kendall (137) are Vegas pros on the Charles Schwab Cup money list. 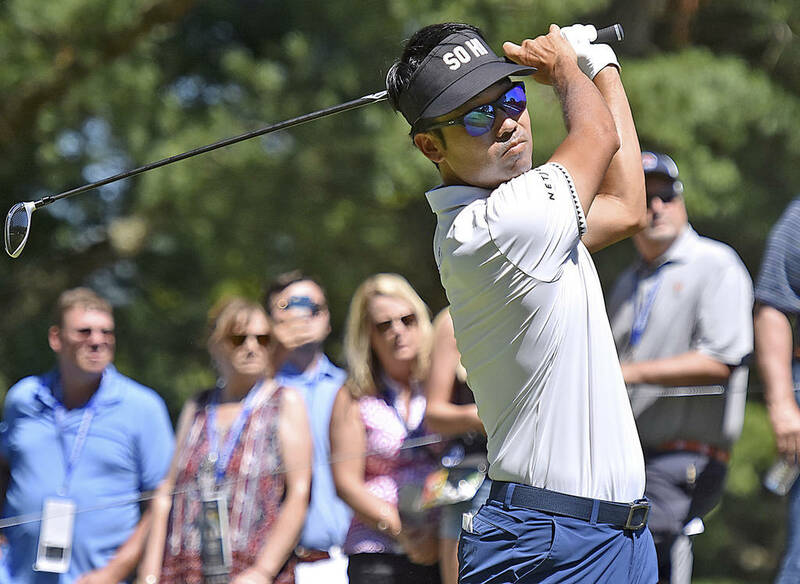 – Web.com: Wyndham Clark, currently ranked 7th on the money list, is one of several with local ties trying earn a spot on the 2018-19 PGA Tour by finishing in the top 25. Others are Maverick McNealy (47), Derek Ernst (73), Alex Kang (84), Max Marsico (114) and Andres Gonzales (172). Beginning in 2019, there will be a new set of rules laid out by the United States Golf Association. Professional Eric McCardle and amateur Kyle Mcichiorre shot 59-63—122 to win the Dave Goff Pro-Scratch at Angel Park. Erik Mathewson and Jacob Wilner finished second at 62-62—124 and John Buffalo and Nick Polonia were third at 62-65—127. Angel Park features two 18-hole Arnold Palmer courses, a lighted par 3 course and an all-grass putting course. Longtime Vegas music legend and avid golfer Tommy Rocker is performing under the stars Thursday at 7 pm at Rio Secco. Advanced tickets are $20 ($10 for kids 10 and under) and include a barbecue. Locals Cameron Barzekoff, a Boise State commit, and Hazen Newman, an Oklahoma State commit, are scheduled to play in the U.S. Junior Amateur July 15-21 at Baltusrol in Springfield, New Jersey. 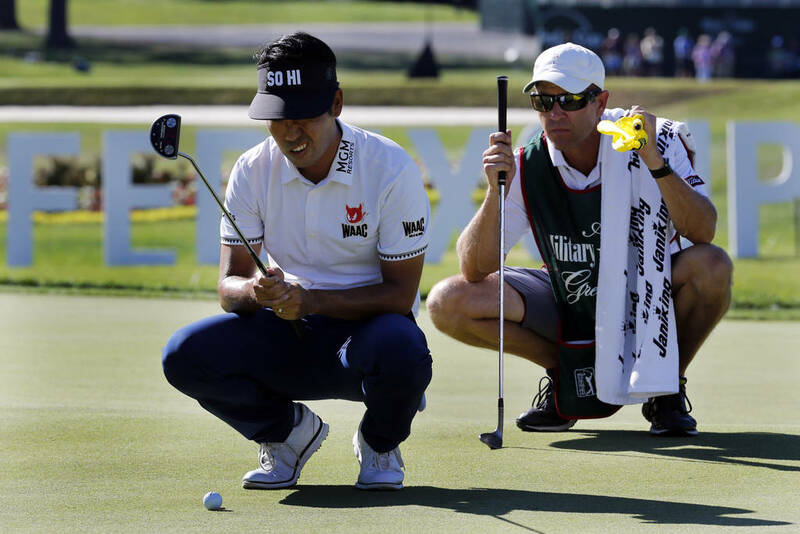 The match play semifinals and final will be televised by Fox Sports 1. Revere is offering $19 twilight rates after 3 p.m. Also, during The Open Championship July 19-22, locals can play 18 including breakfast for $49. NBA-TV analyst Greg Anthony, a member of the 1990 UNLV national championship basketball team, played Bali Hai on Saturday prior to his NBA Summer League broadcast duties. Where: Silvis, Illinois; TPC Deere Run (7,268 yards, par 71). When: Thursday-Friday, 1-4 p.m. (Golf Channel); Saturday-Sunday, 10-11:45 a.m. (Golf Channel); Noon-3 p.m. (CBS SN). Purse: $5.8 million. Winner’s share: $1,044,000. Where: East Lothian, Scotland; Gullane GC (7,133 yards, par 70). When: Thursday-Friday: 2:30-10:30 a.m. (Golf Channel); Saturday-Sunday, 7-9:30 a.m. (Golf Channel); 9:30 a.m.-noon. (NBCSN). Purse: $7 million. Winner’s share: $1,166,667. Where: Sylvania, Ohio; Highland Meadows GC (6,476 yards, par 71). When: Thursday-Friday, 1:30-3:30 p.m. (Golf Channel); Saturday-Sunday, noon-2 p.m. (Golf Channel). Purse: $1.6 million. Winner’s share: $240,000. Where: Highland Park, Illinois; Exmoor CC (7,097 yards, par 72). When: Thursday-Friday, 10:30 a.m.-1 p.m. (Golf Channel); Saturday-Sunday, 2-4 p.m. (Golf Channel). Purse: $2.8 million. Winner’s share: $420,000. Where: Wheaton, Illinois, Chicago Golf Club (6,082 yards, par 73). When: Saturday-Sunday, 1-3 p.m. (FS1). Purse: $1 million. Winner’s share: TBD after the cut. Where: Farmington, Utah; Oakridge CC (7,045 yards, par 71). When: Thursday-Sunday, 4-6 p.m. (Golf Channel). Purse: $700,000. Winner’s share: $126,000.